Eases Heel Pain & Plantar Fasciitis. 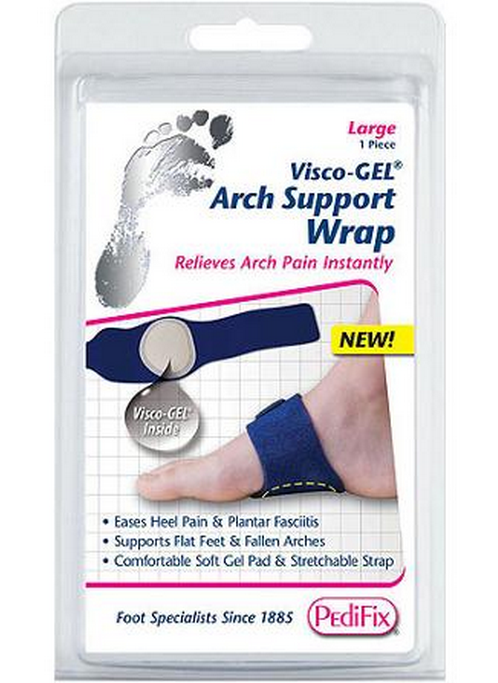 Supports Flat Feet & Fallen Arches. 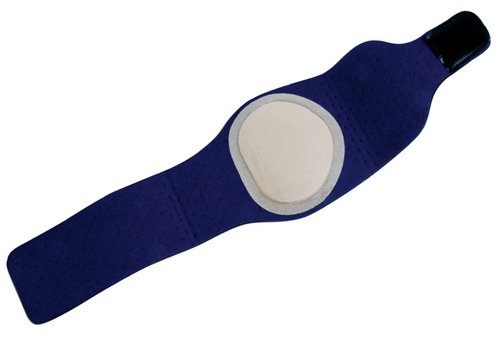 Comfortable Soft Gel Pad & Stretchable Strap. 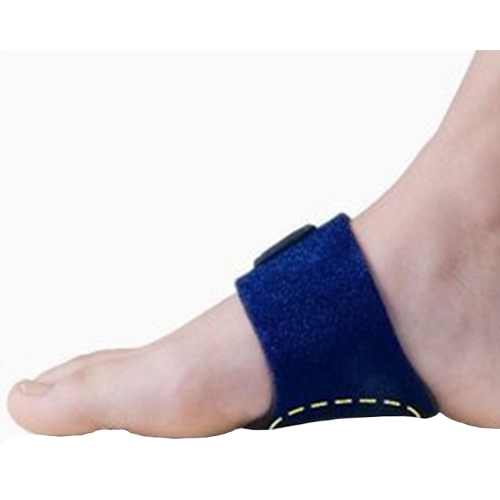 Adds Support to Relieve Heel and Arch Pain. Stretchable fabric with hook-and-loop closure. Designed for wear under or over socks, or when barefoot. Thin profile design fits comfortably in most footwear. Washable and reusable for months. Interchangeable to fit left or right foot. 1 per pack. How do you know what size to order in the P 12191 product? Velcro closure to bulky to fit in shies. I have returned it.